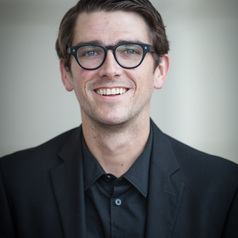 Ken Chitwood is a religion scholar at the University of Florida studying Religion in the Americas and a graduate student fellow with the Center for Global Islamic Studies. His academic work focuses on Islam in the Americas, Puerto Rican Muslims, Latina/o Muslims, hemispheric American religion, translocal religion, intersections of religion & culture, Christian-Muslim relations, global Christianity, Muslim minorities, & ethnographic methods and manifestations of religion beyond religion in a global and digital age. Additionally, he has published work on Judaism in Latin America and the Caribbean, religion and popular culture, and other relevant topics. Ken is a member of the American Academy of Religion, the Latin American Studies Association, the Caribbean Studies Association, Theta Alpha Kappa, and is an Associate Research Member of the Waikato Islamic Studies Group. Ken has been reviewing books on Christianity, Islam, religion, anthropology, culture, and history for six years with Publisher's Weekly, the Houston Chronicle, Reading Religion from the American Academy of Religion, and other scholarly and popular publications. In that time Ken has read and reviewed over 100 books and monographs. Furthermore, he is an award-winning religion newswriter fascinated by the intersection of religion & culture.